Z Cam will be launching a new camera, called the Z Cam V1 (not to be mistaken with Z Cam V1 Pro). The V1 will capture 6K 3D 360 video at 60fps, using 10 lenses. It appears that it will be launching It was launched at NAB Show 2018. 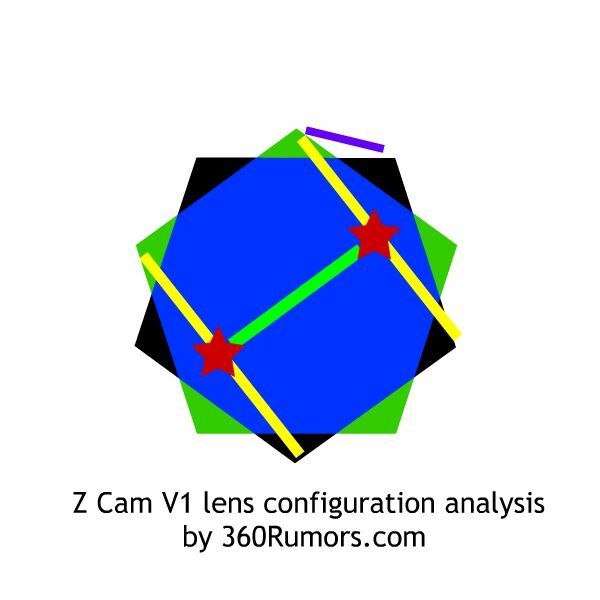 Here is a sample video and an analysis of its lens configuration. 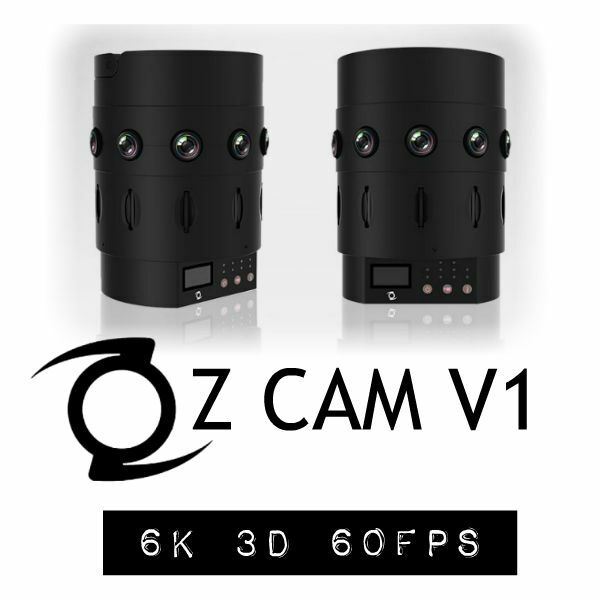 Z Cam’s V1 is a new camera with 10 lenses and will capture 3D 360 video at 6K 60fps. It is not to be mistaken with the similarly-named Z Cam V1 Pro, a 3D 360 camera with nine Micro Four Thirds lenses ($33,800). It uses 1/2.3-inch Sony backside illuminated (BSI) CMOS sensors. BSI sensors allow more light to reach the sensors and therefore have better performance than otherwise similar CMOS sensors that use a conventional design. The V1 has 10 Micro SD cards, but their contents can all be downloaded simultaneously with one ethernet cable, and stitched with Z Cam’s WonderStitch software, which was previously sold for $1500 but which now comes included with all Z Cam 360 cameras. Below is my analysis of V1’s lens configuration. It appears that V1 pairs every third lens together. This has two benefits. First, it creates a larger interpupillary distance (IPD) compared to pairing lenses next to each other (compare the yellow line with the purple line). Second, it places the viewer’s perspective (red star) to a point within the camera, it effectively decreases the distance between lenses (the green line), less than the physical diameter of the camera, for decreased parallax stitching error. This design is similar in concept to the Live Planet and Samsung 360 Round. Insta360 and Zcam keep surprising us with new products. Unfortunately, Zcam products remain very expensive and mainly for the pro video market. Hopefully, Insta360 will introduce a 3D solution for the consumer market – given they have already shown concept designs along those lines.